The headline indicates that I saw a range of art in London this last two days. I went to major shows at the Tate and Royal Academy; called in to the ICA and some Cork Street galleries; and visited the Other Art Fair. The snap judgement that “sublime to the ridiculous” suggests is, of course, bound to elicit a similar stereotype response, but where it’s the sublime to be found? I realise now that little I saw this last two days truly falls into the category of sublime – and I don’t intend this turn into a discussion of what I saw that was sublime or any attempt to define the sublime in art – I am merely indicating a wide range of work of varying quality and perceived financial value. What is true, in my belief, it’s that the best is not necessarily the most valued or highly regarded. 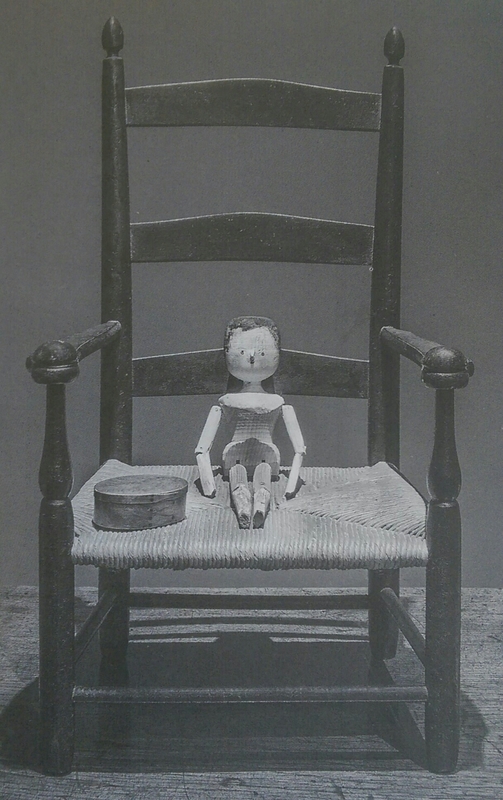 I started yesterday at the ICA to see “From Her Wooden Sleep” a fascinating, almost spell-binding, tableau featuring dozens of articulating dolls and artists’ mannequins set out on ranked wooden chairs almost like a school-room or town meeting: a chapel or early medical operating theatre. Rows of wooden people all looking at a figure at the front. Others round the sides; a collection of wooden banjos and an array of distorting mirrors. Part museum, part installation. Something I have never seen before and something that captured and captivated me probably even before I entered the theatre/ room. A visual delight, I found it a fascinating and heart-warming experience. I also had a quick look round the other show at the ICA. “Looks” is a group show which I am told “explores the ways in which mass digital culture informs how identity is constructed, performed and challenged.” Sadly I failed to find anything that fitted that description and I don’t really understand what they mean by an identity being “performed”. That’s not to say that the work was without interest, I just couldn’t see how the description fitted. And if I am honest, the work didn’t have enough interest to engage me and make my visit more than just “a quick look round”. From the ICA I walked round to the Royal Academy to see the Richard Diebenkorn show which I was really looking forward to and in which I found myself sadly disappointed. Perhaps I had been looking forward to it too much, seeing my expectations to high, but instead of finding the sublime I found myself classifying it as “quite nice” and “pleasant enough”. The work seemed to literal for me: an abstraction rather than abstract and is as if he can’t decide what is and what is not of importance and value. My notes read, “an art of hesitancy, indecision and bumbling along!” Somehow it’s not decisive enough to hold an essence or transfer emotion. Like my reaction the Richard Tuttle shows recently it seems a little lazy. Who am I to judge, but I felt the figurative and representational pieces to be compositional weak and poorly painted. All this was a great surprise to me. I had expected to fall in love with them all. I may have seen a few works before but mostly I had just seen pieces in print or online and had projected on to them a luminous, spiritual quality I found oddly lacking in the actual pieces. There is a quiet, contemplative beauty to some of the Ocean Park pieces but it actually didn’t stand up for me under scrutiny and contemplation! I can’t believe I am about to say this, but they are nice decoration and a joy to the casual glance but, for me, lack substance. There’s a wealth of nice detail and I liked some of the gouache and collaged pieces very much but overall I couldn’t get excited by it all. This entry was posted in Art, Exhibitions and tagged Diebenkorn, ICA, London, Royal Academy on 24 April 2015 by David Smith. 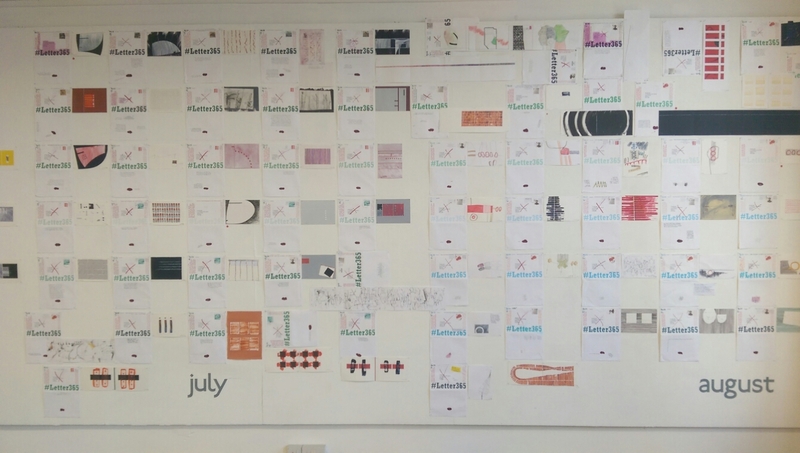 My #Letter365 installation Bridport Arts Centre meant I have had a couple of months of concentrated hard work and I still have got some loose ends to tie up, like updating the blog with images and relating some of the story lines from the show. I still haven’t mentioned it much on this blog! I’m starting to get my energy levels up again but I plan to do some major clearing up in the garden over the coming weeks and I have lots of work to get on with in the studio, so I thought I’d take a couple of days out to take in some art before I get bogged down. I’m aiming to go to the ICA today. There’s an interesting-looking installation “From Her Wooden Sleep” I want to see. 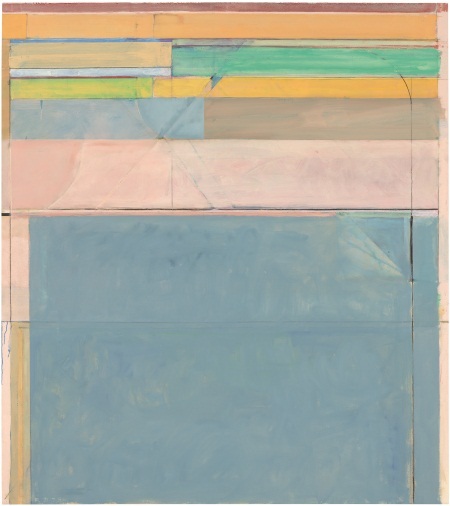 Then there’s the Diebenkorn show at the Royal Academy that I’m looking forward to very much. This evening I aim to go to the Other Art Fair. I want to see what’s going on and gauge if it’s of use to me as well as catching the work of Hanna ten Doornkaat whose work I really like. The other things I hope to fit in, depending on time and energy levels, are the Sonia Delaunay at Tate Modern (and another look at the Marlene Dumas too before it closes); Salt and Silver at Tate Britain; the Jim Dine gift at the British Museum and of course the Ravilious at the Dulwich Picture Gallery. This entry was posted in Art, Exhibitions and tagged British Museum, Diebenkorn, Dine, ICA, London, Ravilious, Royal Academy, Tate on 23 April 2015 by David Smith.